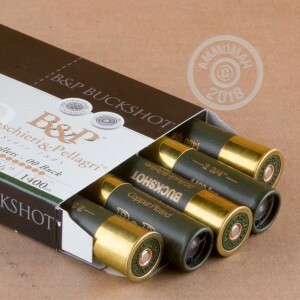 Since the 1870's the 12 gauge as been a versatile and reliable option for several different shooting applications. Able to throw out large amounts of lead at high velocities, this shotgun has been tried and true by the military, law enforcement, and civilians all around the world. Founded in 1885, Baschieri & Pellagri is one of the oldest manufacturers in Italy and are the inventors of smokeless powder. Each hull in this case of 100 measures 2-3/4" in length and carries a 1-1/5 ounce payload of 00 buckshot. 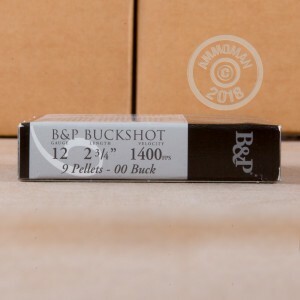 These rounds are great for hunting and self defense applications. Don't forget, at Ammoman.com all orders over $99 will qualify for Free Shipping! So stock up and save!